Healthy natural hair takes time, work, and lots of patience, and at the end of the day your hair needs to be protected. Having a nighttime routine in place will help you keep your curls healthy while you sleep. If you don’t have a nighttime routine, you could be jeopardizing your curls by causing dry, brittle curls and breakage. Everything that you practice in your hair care regimen will mean absolutely nothing if you don’t protect your curls at night. Most of the time I am tired and don’t feel like going through with my nighttime routine, but I am constantly reminded of the consequences if I don’t practice my regimen to its full potential, including my nighttime routine. If you don’t have a nighttime routine in place, take the time now to develop one and stick to it, and here’s why. I am sure that you want that cute twist-out that you just spent hours doing to last a few days, and your nighttime regimen can make that happen. I have been able to get my twist-outs and rod sets to last as long as five days by pulling my hair up into a pineapple and wearing my satin bonnet. 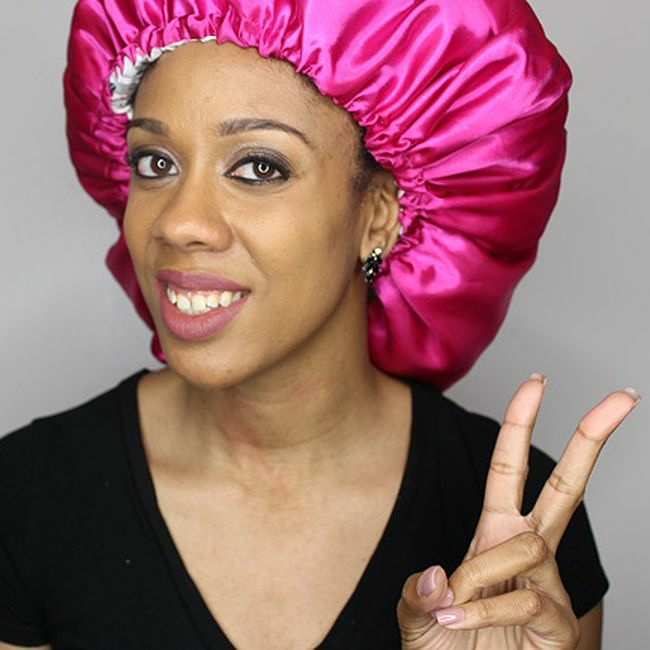 If you aren’t here for bonnets, then a satin pillowcase is another option for you. It’s not good for your curls to come in contact with a cotton pillowcase. Curly hair dries out very easily and cotton pillowcases absorb the moisture and oils from your hair, contributing to breakage. Wearing a satin scarf or bonnet will help you to retain more moisture and prevent breakage, so sleep with a satin or silk bonnet every night. Have you ever not slept with your satin bonnet or pillowcase? Well, you don’t want to find out what happens if you don’t. I can tell you it won’t be pretty. You may end with a bunch of tangled hair that’s dry and matted and that’s not fun to comb out and nurse back to health in the morning, so take my advice and protect your hair at night. Are you practicing healthy hair habits at night? What are the can't-miss steps in your nighttime routine?